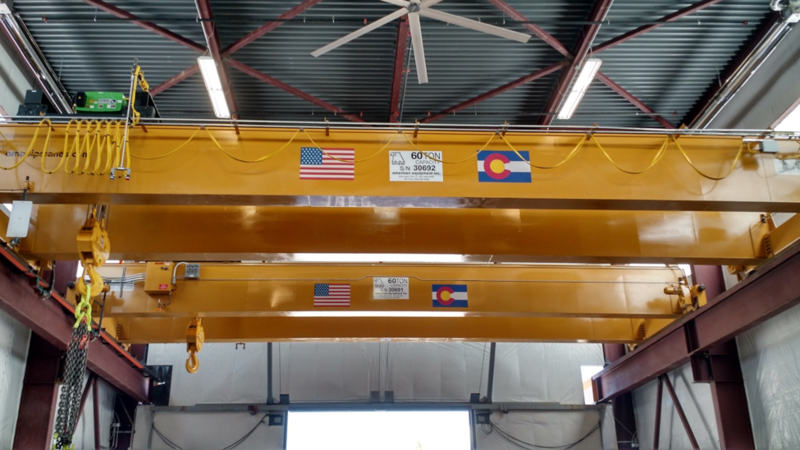 At American Equipment, Inc., we offer a large selection of cranes and hoists with service branches located in NV, WY, CO, and UT. 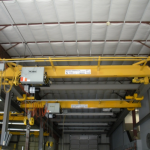 Whether you need to rent or purchase equipment for your next industrial product, we can provide you with a solution. 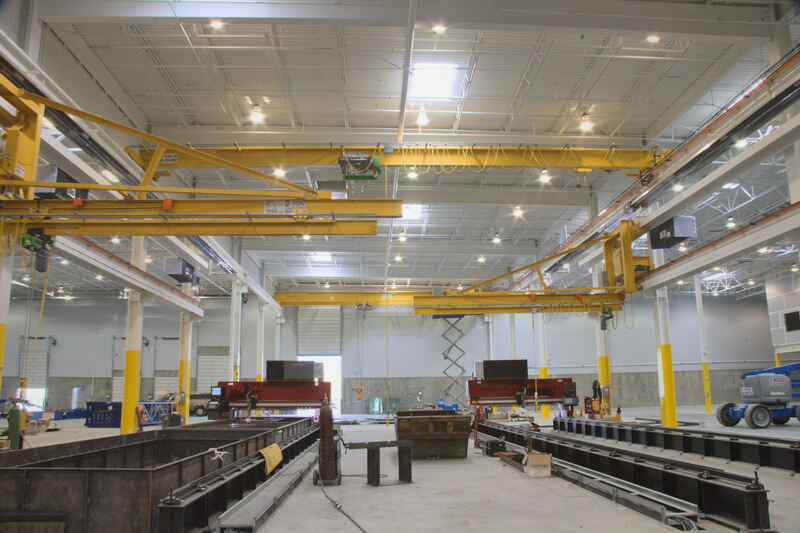 We have nearly 5 decades of experience providing companies with reliable high quality material handling equipment, so we know what it takes to provide excellent products and services. 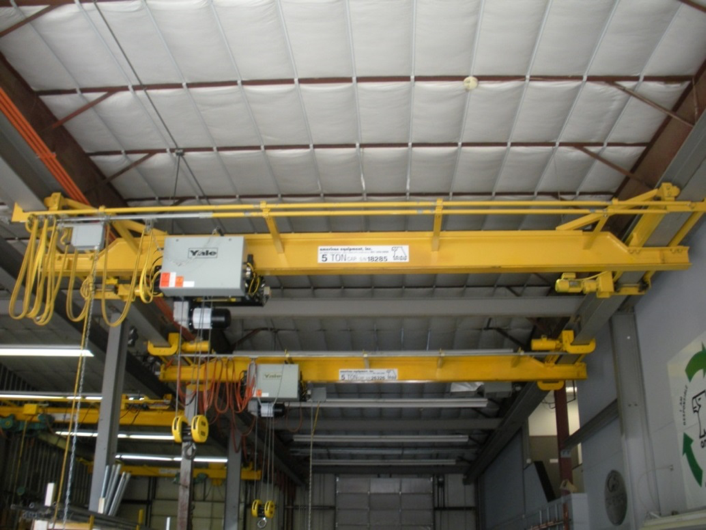 We offer a variety of products from cranes, hoists, material handling equipment, and more. 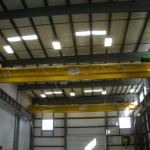 Our design team will provide technical assistance from the start of any project. 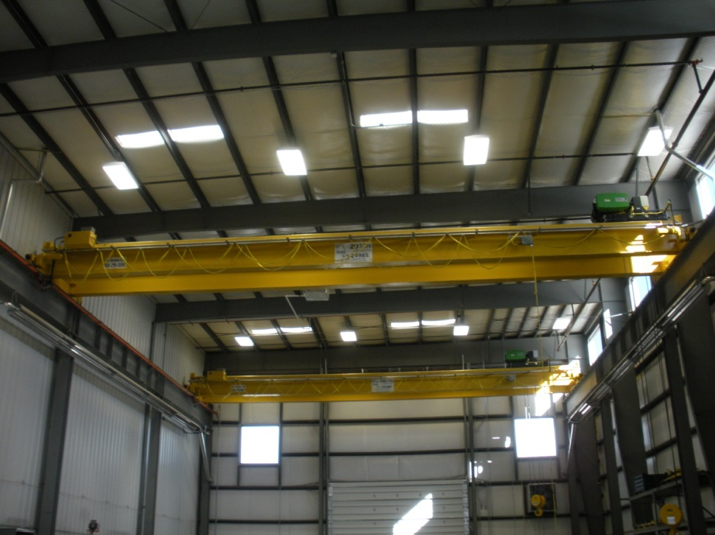 We also offer parts, hoist rentals, and repair services alongside a 24-hour service for customers. Our team of experts can help find parts better than anyone else in the industry. Our goal is to have everyone return home safe each and every day. 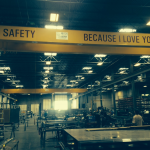 We have implemented the RCI Safety Program, a behavior based safety program, to help with this goal. 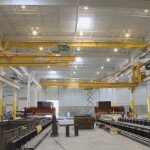 American Equipment, Inc.is committed to safety and environmental responsibility. We recognize that health, safety and environmental (HSE) excellence is fundamental to long-term business success. To that end, we shall comply with all relevant environmental, health and safety commitments, laws, regulations and other requirements. We have established systems and practices that promote safe and healthy workplaces and prevent or minimize pollution. 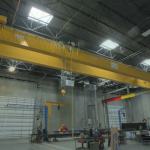 We have worked hard to earn and maintain ISO 9001:2008 Certification to constantly improve our quality, and we only hire highly trained technicians so we can better serve you reliable material handling equipment. 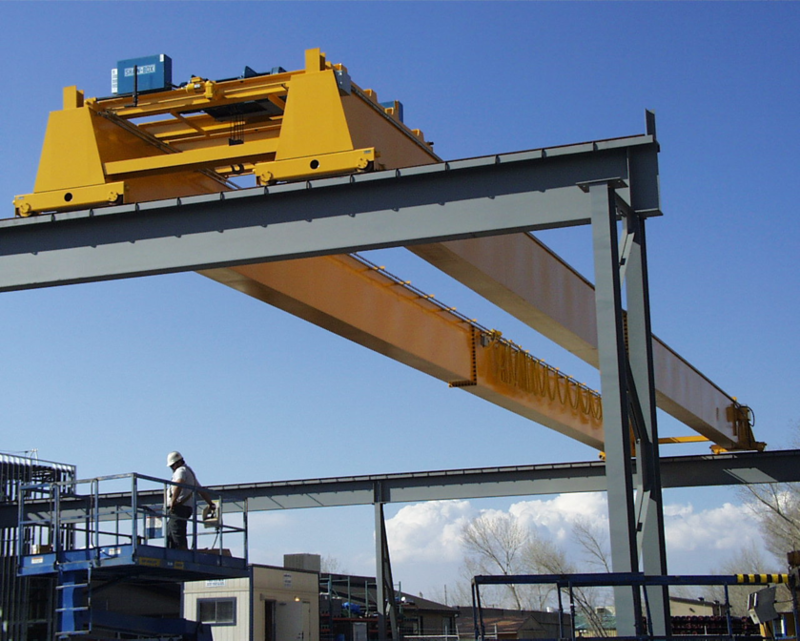 Our cranes are manufactured to meet and exceed CMAA and HMI specifications. 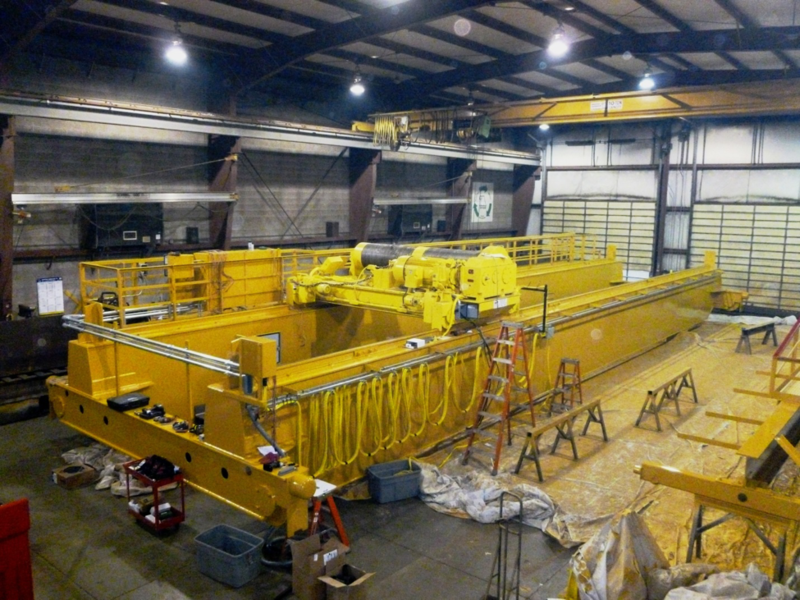 We can build a crane to suit any duty cycle. 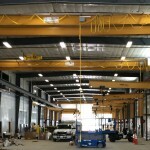 All of our fabricators are certified to AWS D1.1, and D 14.1. 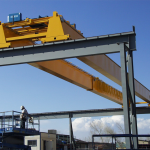 We specialize in all crane types: Top running/underrunning, single and double girder , hand geared/motorized, with or without foot walks. We can offer you a functionally designed and user-friendly ergonomic work station for your specific projects. 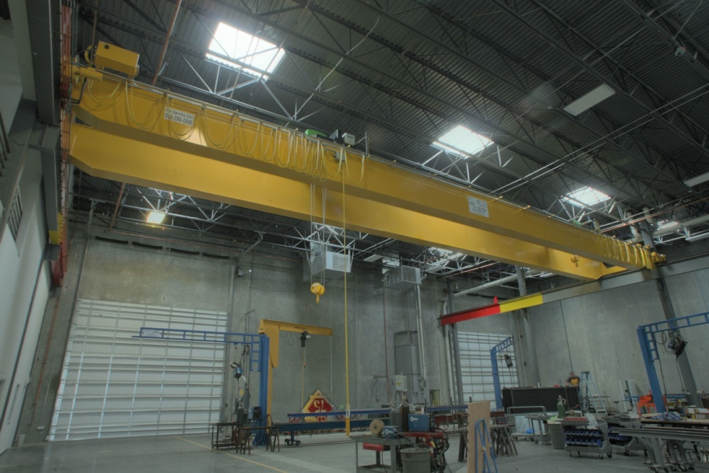 We use cost effective reliable adjustable frequency drives to improve performance and load control for any hoist or crane. 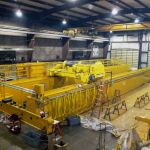 Each unit includes user friendly programing from ¼ TO 2000 hp. V/F mode, Open Loop Vector Mode or Flux Vector Mode, depending on the type of desired control. 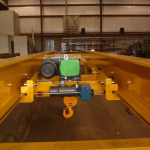 Our radio remote controls allow you to operate potentially dangerous loads from a safe distance or close to the load and allow for highly accurate and safe load positioning. 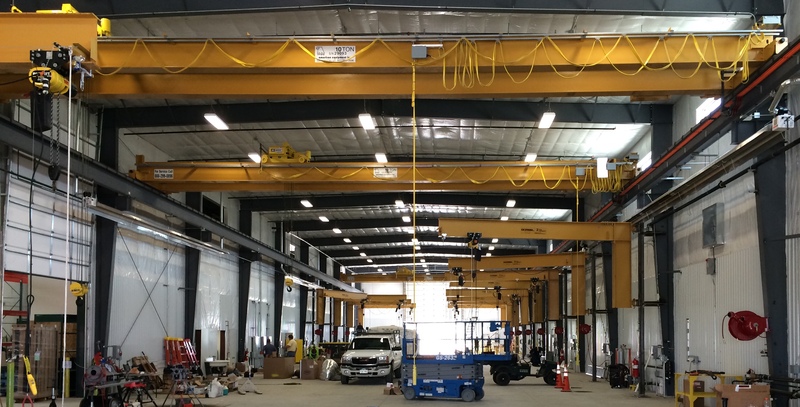 Just a few of the products we offer in the below the hook category are, C hooks, chain slings, nylon slings, Bullard hooks, hoist rings, coil handlers, spreader beam s– fixed or extendable, sheet lifters, roll handling, drum handling, up enders, magnet beams , and tong grabs. If you’re looking for professional, affordable parts and service; our personnel can assist you. We make customer service our top priority and we make sure to do everything possible to keep your equipment running efficiently. With us, you never need to worry about waiting for days or even weeks for service, because we provide helpful 24-hour service to all of our customers. If you have parts that are difficult to find, our staff can locate the parts quickly and get them to you. In fact, our staff has the knowledge and expertise necessary to research hard to find parts better than anyone else in the industry. 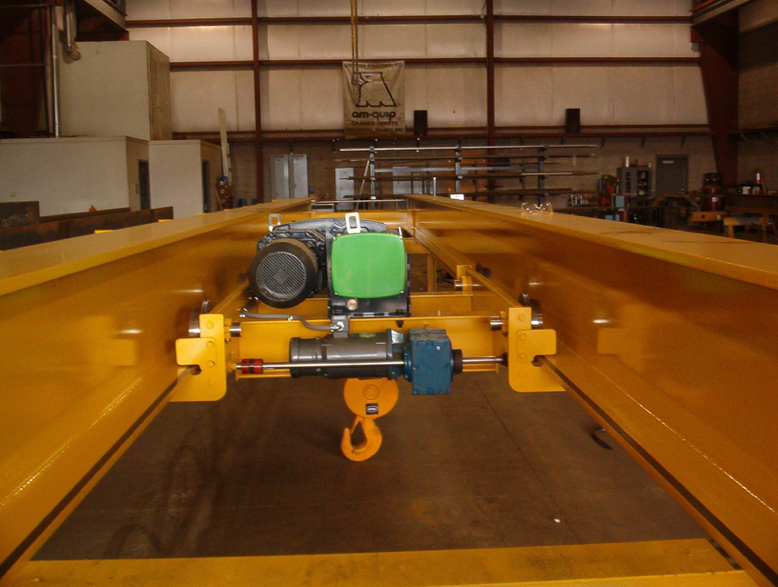 If you want quality, cost saving parts for hoists, cranes, and other industrial machinery and materials, contact us today. It is our people that make a difference. 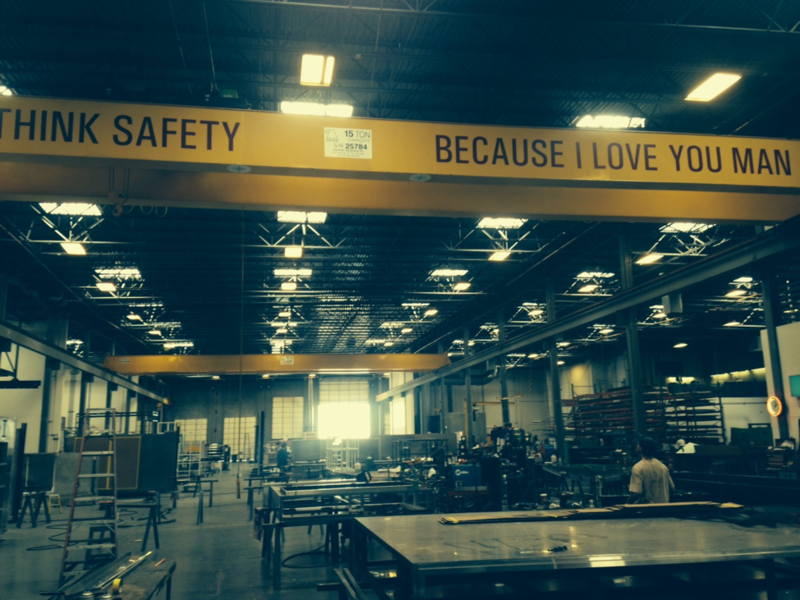 Talented, dedicated to quality that gives you quality cranes. We owe all of our success to our customers. That’s why we’re committed to getting you the right product for the job, every time. 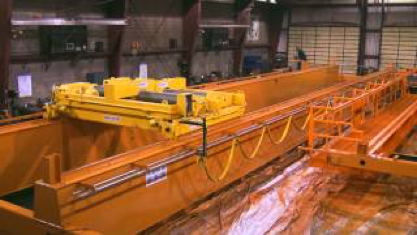 You can trust American Equipment and our products to cope with even the most challenging products and conditions.